Manam island is the submerged top of a large stratovolcano. It is circular and 10 km in diameter. While there is vegetation on its lower slopes are vegetated, the upper slopes are bare due to its frequent eruptions. 4 large valley radiate from the summit area down to the lower slopes. They are spaced 90 degrees apart and known as "avalanche valleys", because pyroclastic flows are usually channeled inside one or several of these valleys. Manam has 2 active summit craters, remnants of an old caldera visible at an elevation of 900 m, and 5 small flank craters located near the island's shoreline on the northern, southern and western sides. Most historic eruptions, recorded since 1616, originated from the southern crater and erupting many pyroclastic flows into the SW avalanche valley. A landslide in March 2007 killed 4 people. A large eruption on 27 February 2006 from Manam's Southern Crater sent an eruption column to 19 km altitude and forced the evacuation of hundreds of inhabitants. A large eruption occurred on 27 January. It formed a large eruption plume with a wide, circular umbrella ash cloud reaching a maximum of 21-24 km (60-70,000 ft) altitude. There were 14 injured and 1 dead at Warisi village. 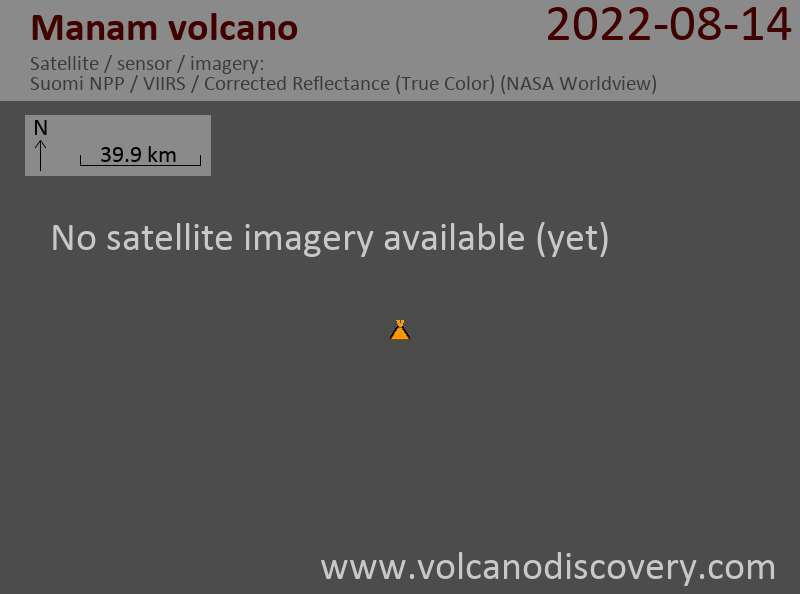 The eruption caused widespread destruction on the island and the volcano observatory was destroyed. Ashfall was reported ~230 km W of Manam. 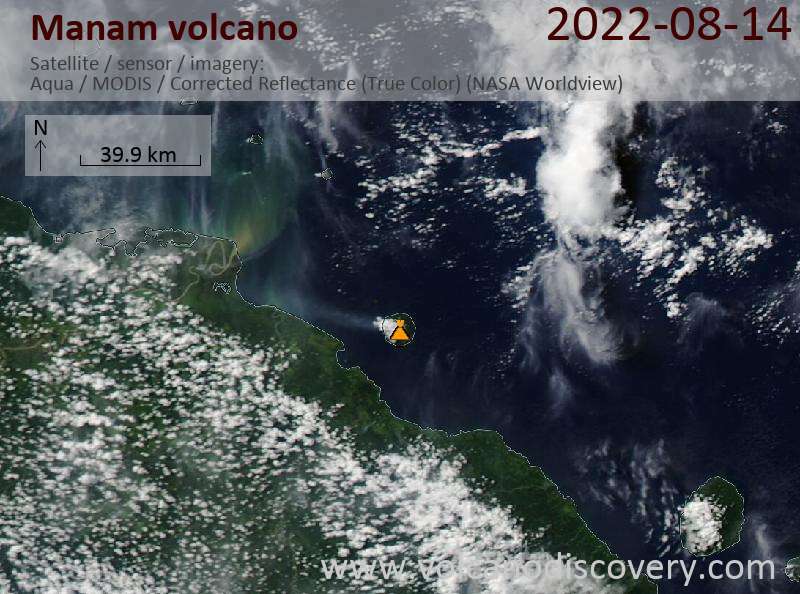 Another large eruption occurred around 23h00 on 28 January, generating a plume that reached 18 km altitude. 24 October: 15 km altitude. Pyroclastic flows reached the sea and lava flowed 600 m down the SE valley. 20 December: 15 km altitude. 5 people were killed, mostly due to inhaling ash, and 9600 people were evacuated. The ash damaged crops, water supplies, and houses. Mild to strong strombolian-type activity from the summit crater was occurring in the intervals between the larger explosions. The eruption had also an effusive component and generated lava flows flowing into the NE radial valley. The lava flow followed the Boakure side of the valley and covered the older flows from the 1992-1994 eruption.